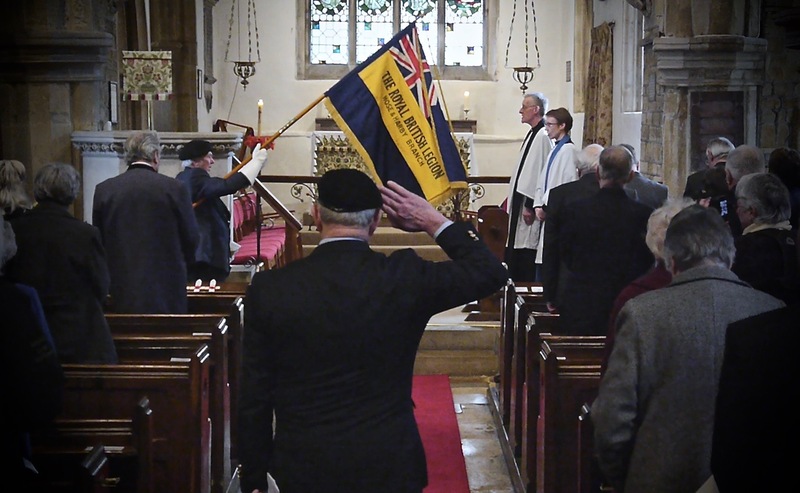 Project and St Mary’s church, Bottesford organised this simple service to mark the 100yrs since ten men from across the Vale who were killed in the first few days of the German spring offensive in March 1918. The service included the one hundredth such act of remembrance to be carried out in the Vale since 2014. The weather might have been grey & damp outside but once inside St Guthlac’s church, the welcome was a warm one. Tea & coffee was served to those folk from across the Vale and relatives of one of the soldiers remembered, who attended the service of remembrance. The service was led by Reader, Canon Judith Wells assisted by Revd David Payne. The names of the ten were read out & more detailed histories shared of two of the men, before a cross for each was presented to representatives from the four parishes of Long Clawson, Harby, Hose & Bottesford to be placed on the respective war memorials. Just listening to the histories alone, brought home the importance of why these services and acts of remembrance have been held over the past four years and why the deaths of these & all others who died or lived with their wounds for years afterwards should never be forgotten. After the service a buffet lunch was enjoyed by all at The Plough Inn, Stathern. Out thanks to Melanie Davies for writing this article. My wife Betty and I attended. Thank you for your welcome and the lovely buffet. Ex FS G S “Bill” Bennett.